I hope you are having a wonderful week so far. I am kind excited right now because I finally figured out how to take pictures with my 50mm lens on my tripod. 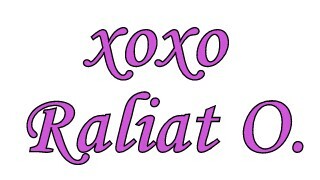 I personally like visiting blogs with great pictures quality, it's just more appealing to the eyes. I normally use my 18-55mm prime lens with a self-timer and tripod and the picture quality was okay but it was not the best I wanted for my blog. So I started looking for solutions online and discovered that the solution was just getting a remote control that will sets the shutter and take better pictures with a fixed lens. I found one on Amazon with great reviews and ordered it. Thank God it worked for my camera, and from now on the picture quality for my outfits posts will definitely be impeccable. I shot this outfit that I wore to my friend, Abby's graduation with the remote control and as you tell, the pictures turned out great. Since I was going to a graduation ceremony, I decided to go for the classic black and white color combination. I paired a printed top with a black pencil skirt with peplum hem (one if my favorite trend at the moment) and completed the look with my black Louboutins and bold red lips. I hope you all had a wonderful weekend and those that are off today, hope you are having a relaxing Memorial Day. Since I am on summer break now, I am definitely going to be incorporating more casual outfits like this one on my blog. This outfit is all about the "Kimono" trend that I mentioned in my Spring/Summer 2014 Trend Report HERE. For this casual look to see a movie and do some shopping, I made this gorgeous printed kimono the state piece of my look by pairing it with a basic white tee-shirt and a pair of boyfriend jeans. I completed the look with a pair of flat sandals, mirrored sunglasses and shoulder bag. Stay tuned to see how I will style the kimono in a more dressy look. I hope y'all had a blessed week, I sure did. Last fall, I did a trend report on my favorite trends plus my picks from the trend and it was such a huge hit on my blog. You guys seem to really love it, so why not make it a regular post every season. 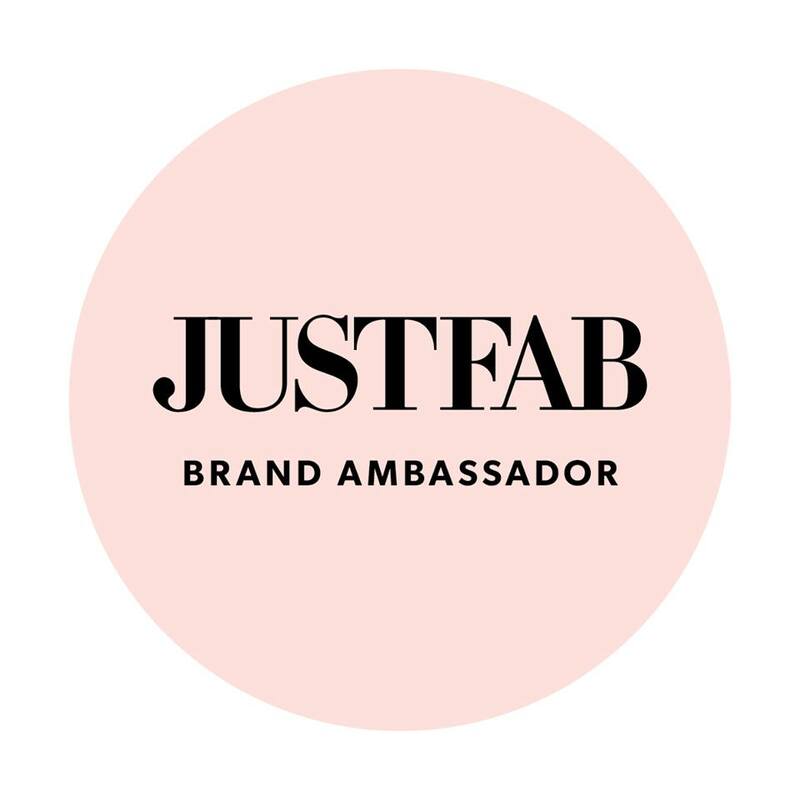 Although it's a lot of work (picking out the trend, browsing online to find my picks, downloading the pictures from the sites, making a collage of the pictures then going back to get the links of each item) but it was my pleasure to do it for you lovelies. My top 8 trends that I am loving for this spring/summer 2014 are Full Midi Skirts, Cami Tops, Peplum Hem, Lace Pieces, Kimonos, Pastels, Floral Print Sandals and Gladiators. Check out the pieces I picked out from each with their direct links below. 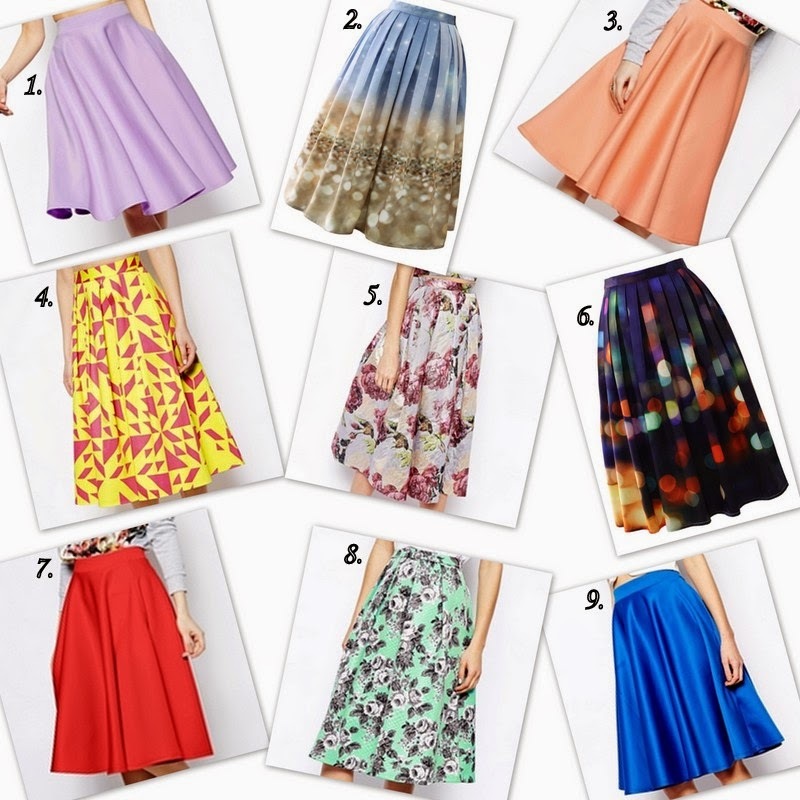 Full Midi Skirts: This is definitely my favorite trend of the season, they are so feminine, dramatic and very chic. I personally feel like you can never go wrong with this skirt silhouette. Moreover it has 50s classic edge to it and can be styled in so many ways. See how I styled this trend HERE, HERE, HERE and HERE. Cami Tops: Instead of a regular tank top or a basic t-shirt, try a cami top this season. Not only is it perfect for those hot spring/summer days, it is also very versatile. You could style it with skirts, pants, and shorts. 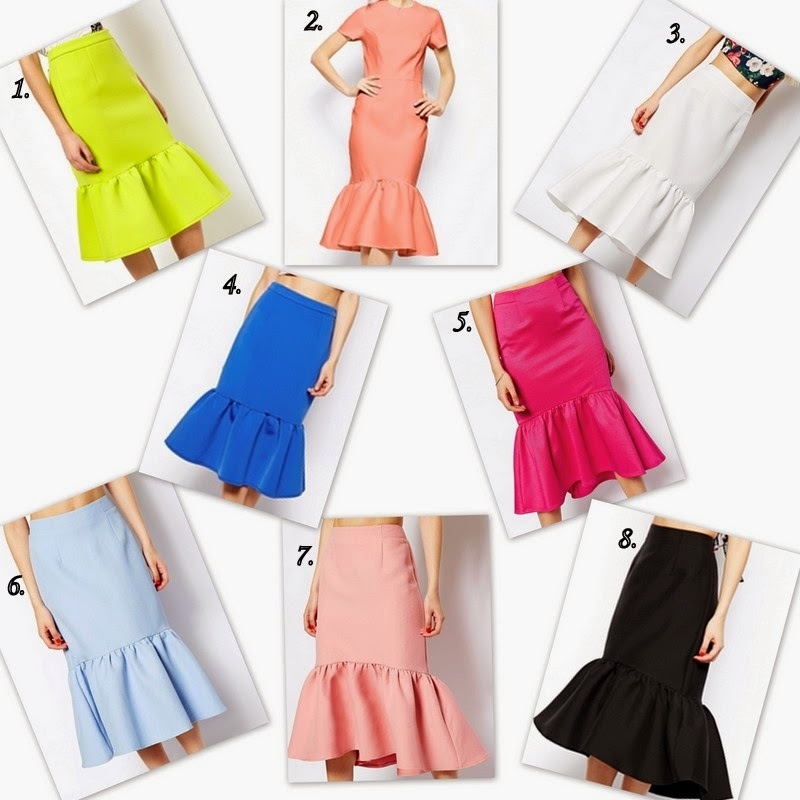 Peplum Hem: peplums were all the rage last spring/summer, it's still very popular but the position of the peplum has been updated to hemlines of skirts and dresses. 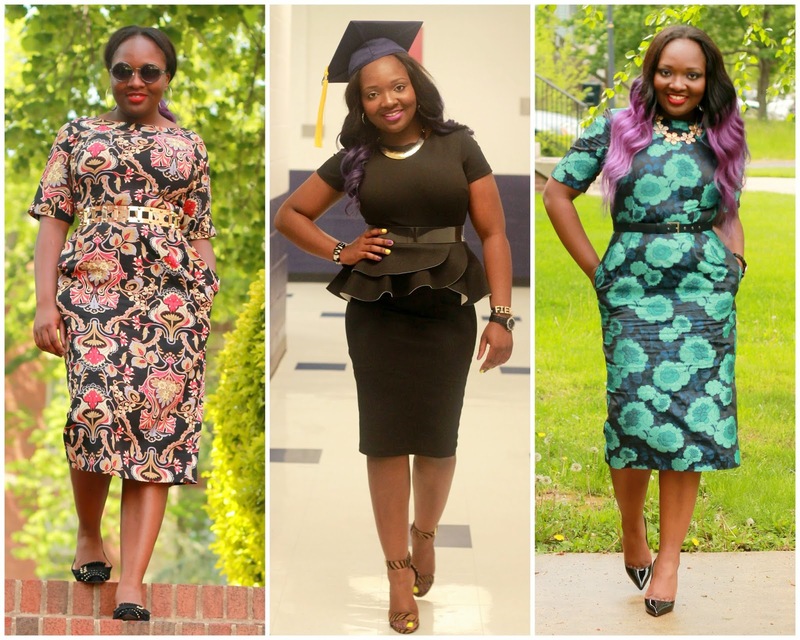 I love peplum hems because it adds a little drama and "oomph" to a piece. 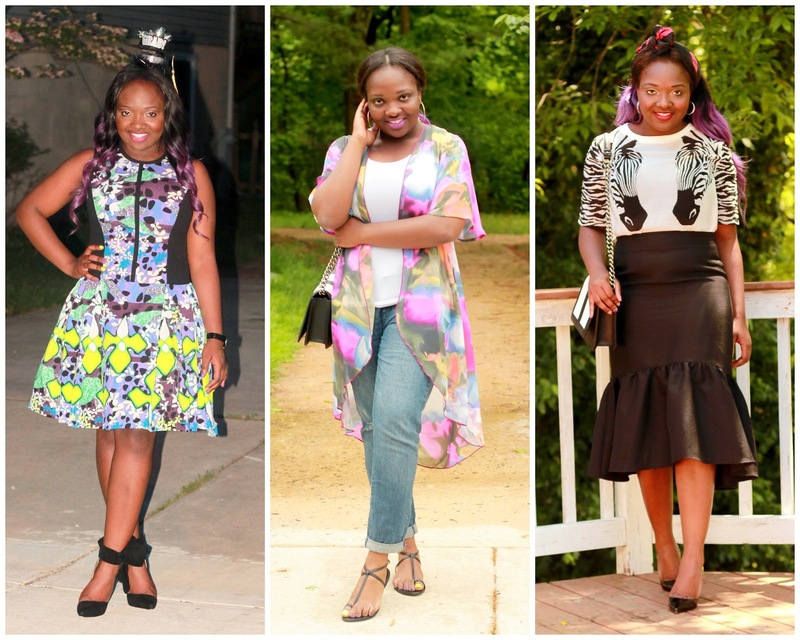 See how I styled this trend HERE and HERE. Lace Pieces: what's not to love about lace pieces? They are pretty, dainty and very feminine. This season, there are so many options of colors and styles for lace pieces. If you want to add a hint of girly style to your outfit, just throw on a lace top or skirt. 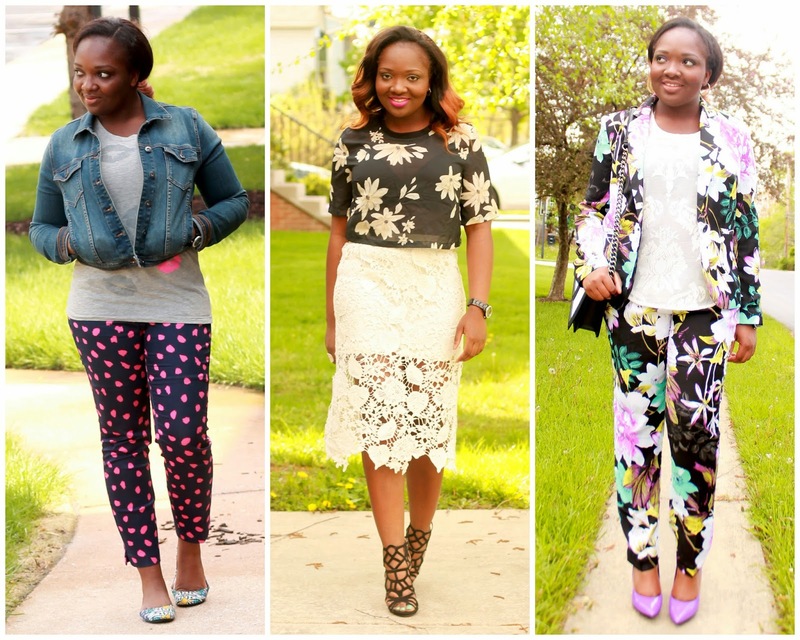 See how I styled this trend HERE. 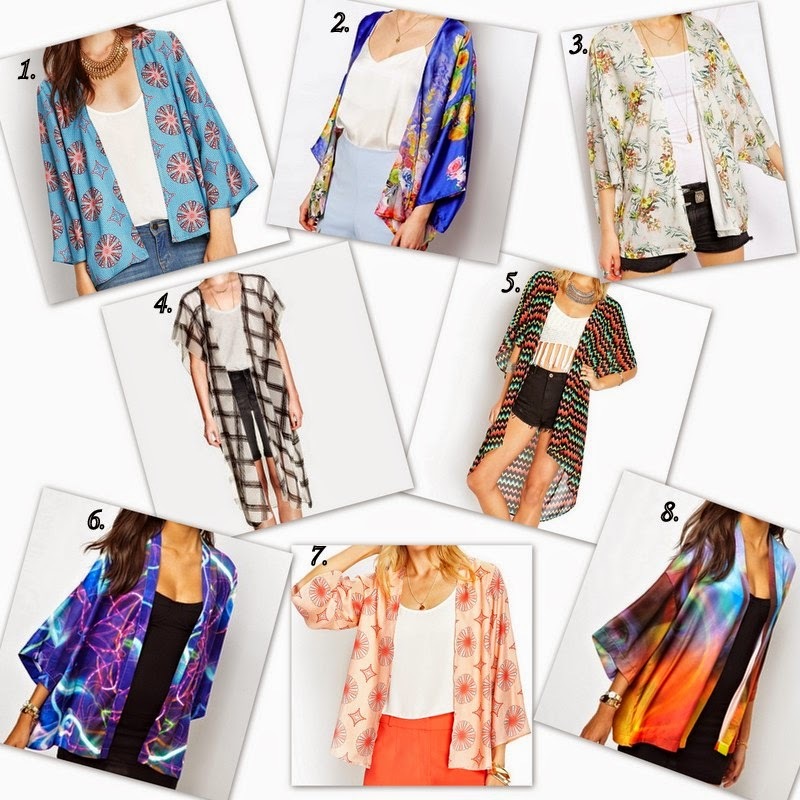 Kimonos: they are the "it" jacket of the season. Although they are very light and airy to be considered jackets but if you need to add an extra layer to your outfits this spring/summer it better be kimonos. The possibilities of styling them are endless, I will show y'all a casual way of styling kimonos in my next post. 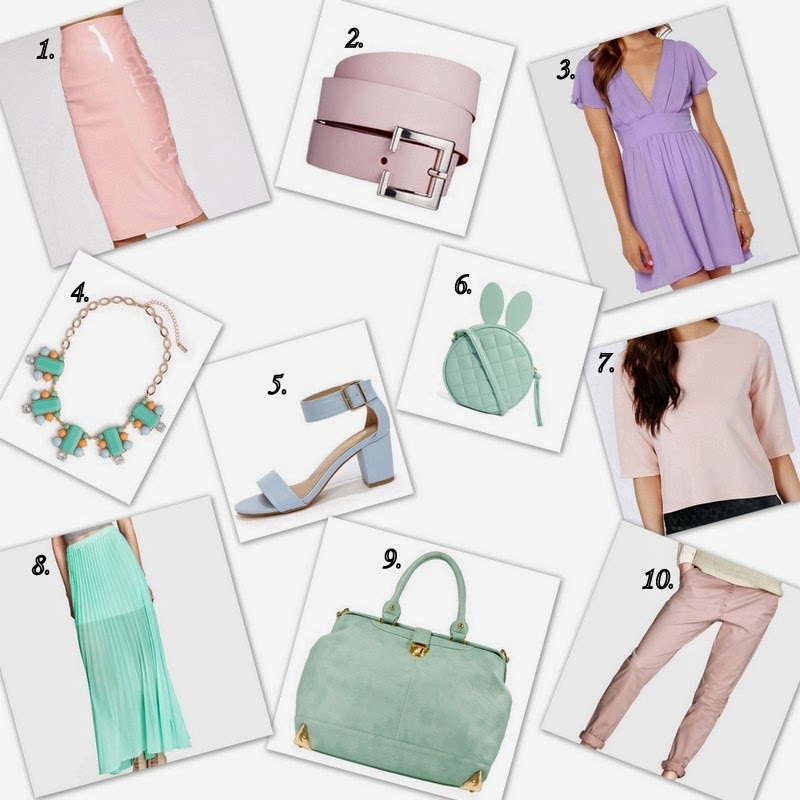 Pastels: they are also must-haves for every spring/summer. These sweet sorbet colors of mint, lilac, pale pink and baby blue are absolutely perfect for season. If you are skeptical about trying pastels, start with a nice accessory like a belt or statement necklace and I promise you will fall in love the the sweet colors. Floral Print Sandals: Floral prints are always on trend every spring/summer, in fact they are a must-have for the season. This spring/summer add a pair of floral print sandals to your closet rather than floral print clothes. They are also versatile since you can basically pair it with any color on the floral print design of the sandals. Gladiator Sandals: Most people probably do not like this trend, but I think it's worth giving a shot. The styling of gladiator sandals can be tricky, I would say always style it with shorts, a dress or skirt above the knee to allow the sandals to stand out. For a more conserved look, try styling it with a maxi dress with high slits so the sandals can peek through the slits. Thank you so much for stopping and have a wonderful Memorial Day weekend!